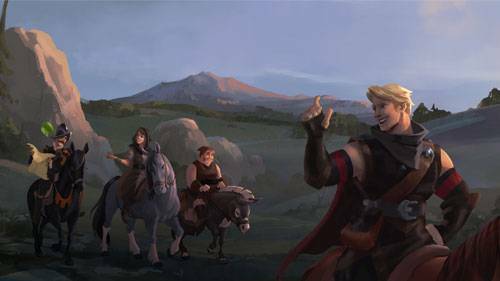 The developers of the sandbox MMORPG Albion Online are going to make a big change: robs that no longer just lurk in certain places, but also wander through the game world. You know this from MMORPGs: Robs lurk mostly in certain places and just wait for players to attack them. So players can plan their tactics and defeat the hordes. This principle will soon turn Albion Online upside down. For monsters should then also wander through the game world, which makes the fact-finding missions still dangerous. In addition, the developers with the upcoming update and luxury goods into the game. These are relics from the 18 different antiquities of ancient Albion, which are highly sought after by collectors in cities. Many of these luxury goods can be found in mobs regardless of their whereabouts. Luxury goods affect the economic system of the MMO and also fuel PvP, as the items are very rare and everyone wants them. More about the update Lancelot of the MMORPG Albion Online the developers want to betray in the coming weeks. The update is scheduled for release in March. Only recently, the developers of Albion Online announced that they had to lay off many employees.